It’s always about the journey and the ability to stay with our goals no matter what. Marguerita Gill from Liverpool, England has her own home-based business. But she also has discipline and determination – two essential ingredients for whatever we decide to do in life. 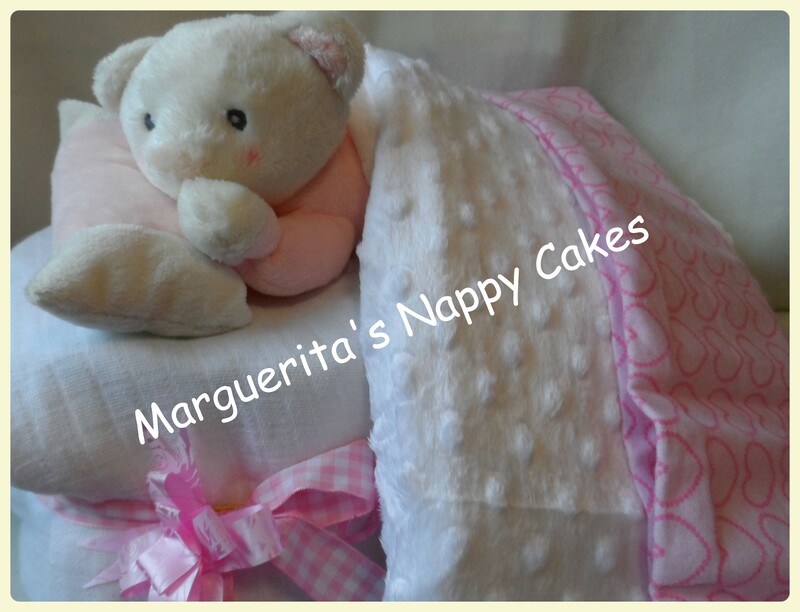 Please enjoy reading about Marguerita Gill and her heart-based business – Nappy Cakes. What kind of work did you do before you started your own business? Before I started my own business I worked doing various office jobs. I worked for a while at John Lennon Airport, Liverpool, UK, for Ryanair airlines as a check in agent, and even had a go doing Security. I was always looking for job satisfaction but never seemed to find what i was looking for. I always wanted to set up my own business and so decided to just give it a go. Do you have a physical store location or work from home? At the moment I am a home based business, but I am looking into opening a shop in the near future. I sell most of my products via Facebook, my website and a lot of it is word of mouth and repeat customers. What is a Nappy Cake and where did the term come from? A Nappy Cake is made from various useful baby items, such as blankets, bibs, booties, hats, onesies, scratch mitts and of course nappies. Items will vary depending on the size and price of the Nappy Cake. I guess the term Nappy Cake came from the idea that it is made mostly of nappies to look like a real cake, although you can make other items from nappies, like prams, and tricycles, Nappy Beds and really anything you put your mind to. There is no exact science to making Nappy Cakes, but being creative plays a big part. Why did you decide to start your own Nappy Cake business? I started my business making hand knitted babywear for premature babies, and I thought I would expand into the Nappy Cake world. I thought they made an ideal gift for the new mum and baby as they include a variety of baby basics. I read a quote one day, which read “If you don’t have goals, you will always work for someone else who does.” And for me, I would much rather work for myself and set my own goals. How much time do you put into creating your products in a given day? I think the time I spend in any given day on my business is really from the minute I open my eyes in the morning, I wake up sometimes in the night with an idea and take it from there. Sometimes I have a few ideas happening at the same time but I do try to work on one project at a time now. Every aspect of my business falls in my hands, so I do my own marketing, selling, buying in stock, production, business cards, website, the list is endless, but I do what I love and love what I do. I love making and designing my Nappy Cakes and the creativity it gives me. I love the tiny cute baby clothes too and feel I have found my niche. What were some of the obstacles you faced when you decided to set up your own business and what made you persevere to get through them? I believed in myself and what I was doing, but it has taken a lot of hard work and determination. Financially it was hard, and at times my personal life had to come first. My mum played a huge part in the setting up of my business in the early days, of which I am very grateful, however I did find that some areas I would have expected to get support and I didn’t, so that was a bit of an eye opener. I realized pretty fast that if I worried about what other people thought I would have given up a long time ago. So really for me discipline and determination is the key.